Hi coffee lover friends, let me share with you all my new discovery. I have been a coffee drinker for 25 plus years, mostly instant coffee. Nescafe is the only brand for me because it taste just right, not so bitter and not bland. I drink a cup of Nescafe Clasico dark roast during breakfast and a cup of Nescafe decaf in the afternoon. 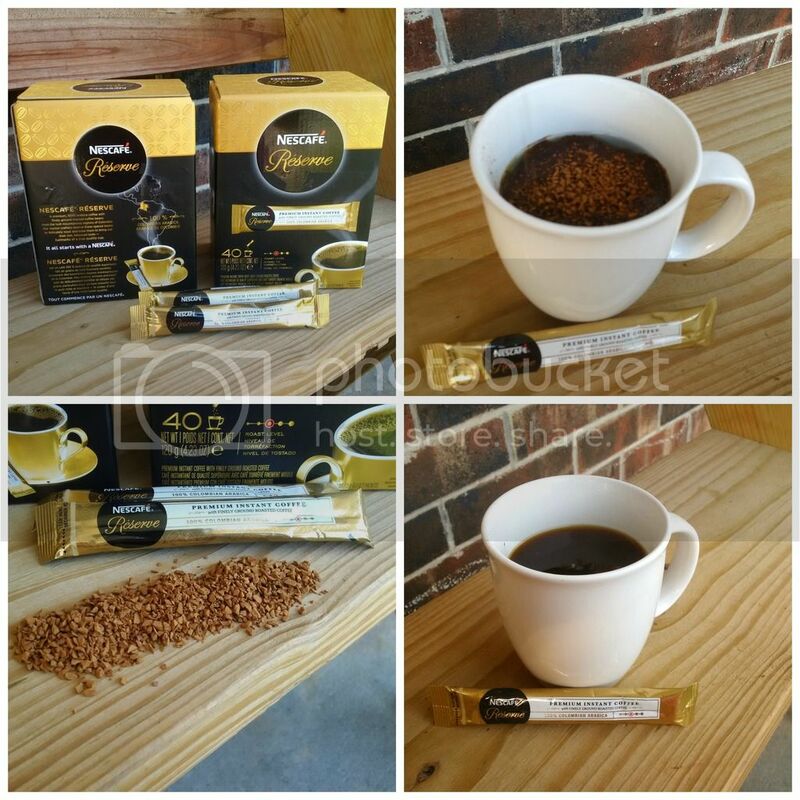 Those two were my favorites until I tried Nescafe Reserve Premium Instant Coffee 100% Colombian Arabica. I found a new favorite that I can rely on when I need extra energy to start my day. What I like about Nescafe Reserve is that is smells really good. The scent makes me feel relaxed and when hot water is added it makes me excited to sip. I noticed it dissolves quickly in hot water, it comes in 40 sachets and in 2 packs, I got 80 sachets total. This product is available through Amazon, however Costco carries them too. I actually brought some with me when I went on vacation last week. The size of the sachet makes it very convenient to carry anywhere. I usually add 1 tablespoon of powdered chocolate milk and 2 teaspoons of powdered skim milk to my coffee. But this coffee, I can just drink it black. My whole family love this coffee and I recommend it.